100 color + 46 b-w illus. From the walls of the Salon to the pages of weekly newspapers, war imagery was immensely popular in postrevolutionary France. This fascinating book studies representations of contemporary conflict in the first half of the 19th century and explores how these pictures provided citizens with an imaginative stake in wars being waged in their name. As she traces the evolution of images of war from a visual form that had previously been intended for mostly elite audiences to one that was enjoyed by a much broader public over the course of the 19th century, Katie Hornstein carefully considers the influence of emergent technologies and popular media, such as lithography, photography, and panoramas, on both artistic style and public taste. 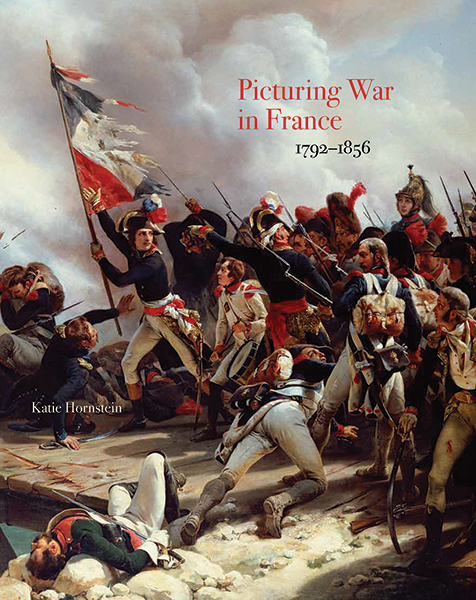 With close readings and handsome reproductions in various media, from monumental battle paintings to popular prints, Picturing War in France,1792–1856 draws on contemporary art criticism, war reporting, and the burgeoning illustrated press to reveal the crucial role such images played in shaping modern understandings of conflict.